BMU Labs team has a strong expertise in trade-show and specialized events. Since day one, we team up with Skyline event company in order to offer beyond experiences including VR-AR tech. Furthermore our neurofeedback solutions allow businesses to better understand what event attendees are focusing on through live metrics (eyetracking or EEG). Companies could also optimizing theirs event experience with a deep and comprehensive pre-show analysis. Discover how a leading IT company in banking, accounting, and business software, SaaS solutions, and cloud computing increased leads during B2B event. Below are events where BMU has delivered VR experiences. ICAO75 is the workd wide aviation event dedicated to future innovation. 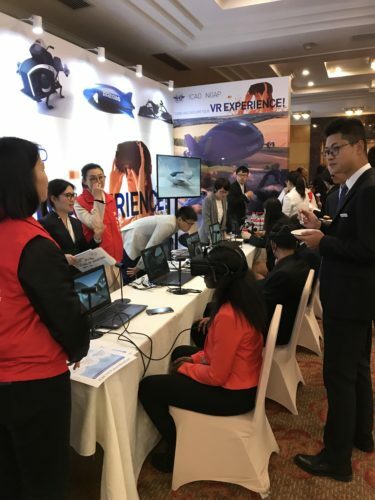 ICAO teams up with BMU for its VR experience in China. Attendees immerse into a VR experience on #oculus and explore dozen of futuristic vehicules. 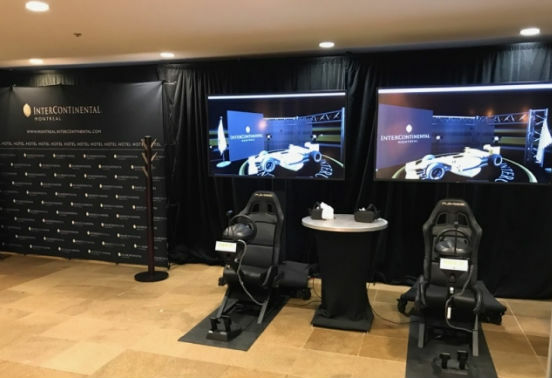 During the world renown : Montreal Grand Prix, Intercontinental Montreal and BMU Labs offered a unique opportunity to race in a VR F1 simulator. 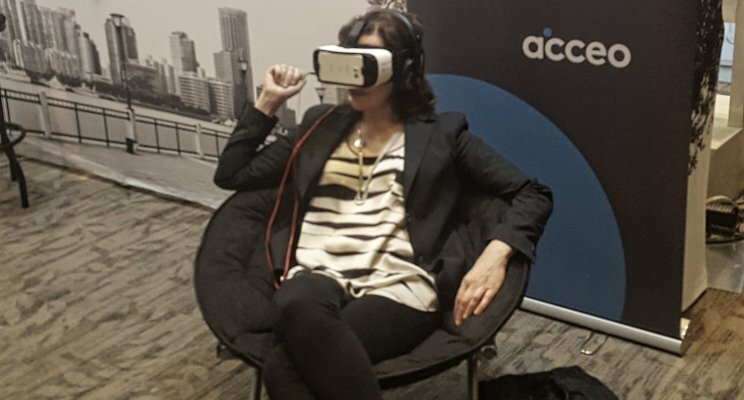 ACCEO Solutions Inc, part of the Constellation software (TSX: CSU) mandated BMU LABS to create an immersive and engaging VR experience for the dozen annuals events in the public sector. Enriching the event VR journey, BMU Labs has developed two mobile apps for the french market. The first one allows anyone with its own androïd phone to explore ACCEO City. The second one encourages CEO and manager to discover what type of leadership they are thanks to a VR quizz. BMU Labs has contributed to the development of the ACCEO brand and increase NPS score. 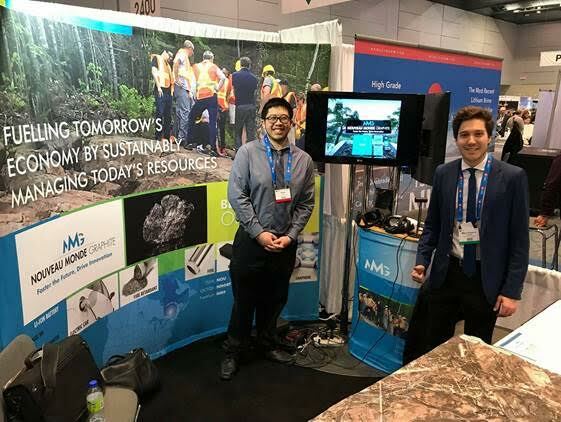 The mining company, Nouveau Monde Graphite, needs to emerge its event attendees in off-shore sites. BMU Labs provided a complete VR visit thanks to Holodeck solutions.